I recall two significant things about our stay (and that birthday meal in particular): the first was the Caesar salad. J loves room service and had arranged for us to have my birthday dinner in our room. It was lovely because the view was great and the room service was provided by the restaurant adjoining the hotel. I can’t remember the entree (perhaps an Al Fredo pasta? 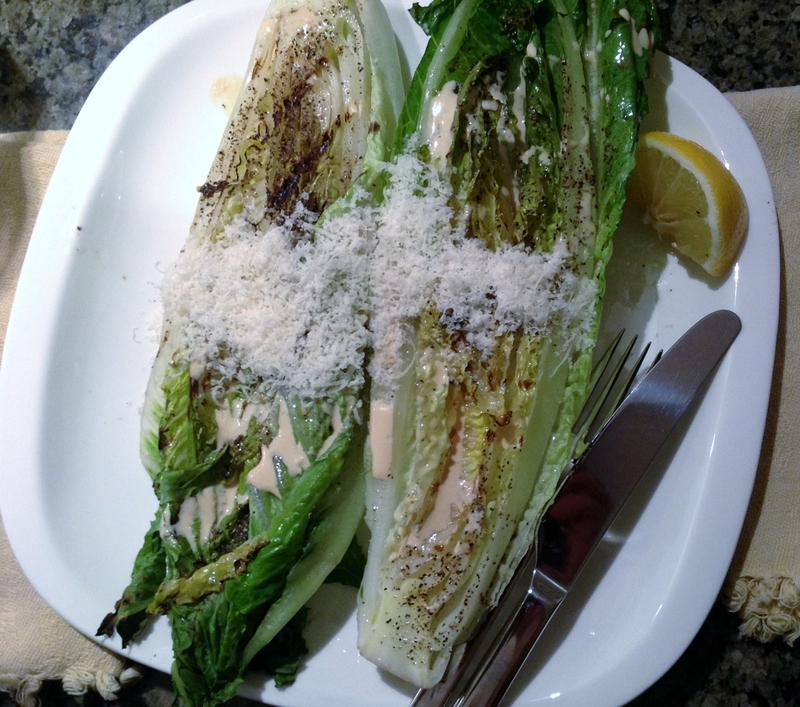 ), but I clearly remember the Caesar salad, which was a full head of romaine, sliced down the centre, grilled (cut side down) and drizzled with dressing. It was a rather amazing textural experience (the crispy grilled leaves, the floppy heated inner leaves, and the fresh crisp outer leaves all combined rather deliciously). 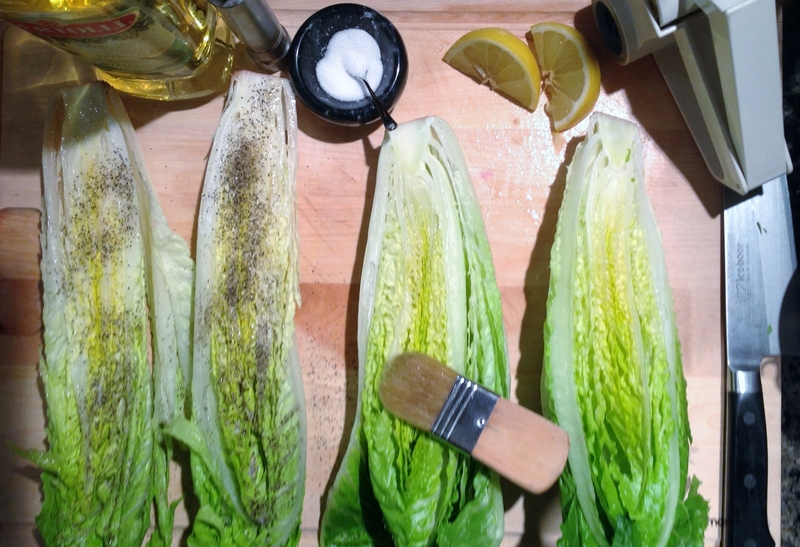 Pull off the outer leaves on a head of romaine lettuce and slice the head length-wise down the centre. Drizzle the cut side with olive oil and salt and pepper. Grill cut side down on a hot grill for about three or four minutes. Serve cut side up, drizzle dressing on top (and fresh grated parmesan cheese, if you like). Serve with a wedge of lemon. This is J’s plate–he had fresh parmesan on his. Note the grill marks on the left: that’s what you want to go for.